CLUSTER BOMB: Various grenades shown in gold, rose gold, nickel, and gun metal. Rose gold and gunmetal are available as special order. 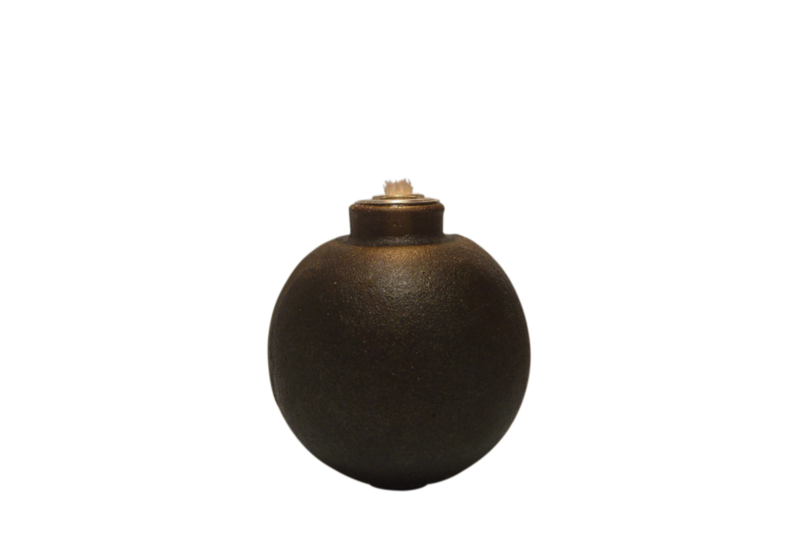 The hand grenade oil lamps are made from actual US Army surplus grenades gilded in gold or silver, or left natural. Each gets its distinct shape from the job it was designed for—fragmentation (pineapple), smoke and flash bombs (lemon), and high impact explosives (ball). This icebreaker will shatter even the thickest weirdest ice.